Today we are share with you one common but verry important tutorial how to prevent block multiple login of same credentials in laravel application using laravel session token key and google firebase. yes you can done this type functionality using laravel seeeion key and google firebase. in this tutorials we are also use google firebase because when user login in your laravel application from another PC or device then another login user automatic logout without page refresh. 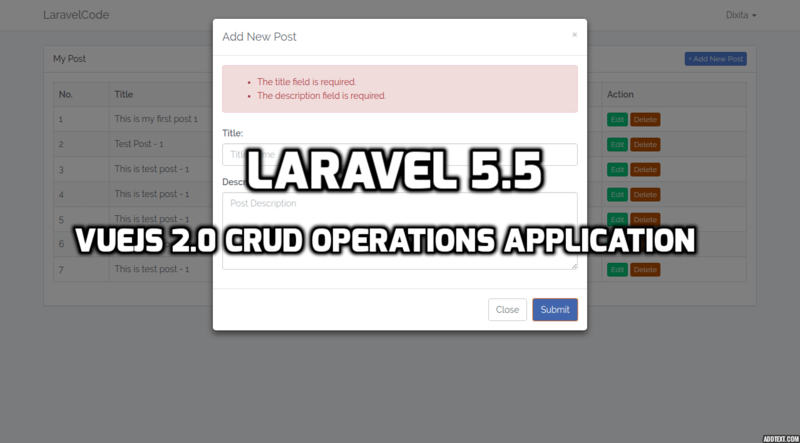 it is also possible only use of laravel session key and token but one problem with laravel session key user must be page refresh then after logout not without page refresh. so, here we are also use google firebase and done prevent block multi login in laravel application. Recently we are work one laravel application and during done this project we are required prevent block multi login of same credentials with without page refresh. then we can done this using firebase and laravel token key. First we are searching on google but i was not find any perfect logic for this so, i apply my own logic and built this type functionality because i also know google firebase very well. After done this then run your migration using following command. first we are create laravel bydefault auth using following command. if you already make auth then you can skip this step. after run this command then look in you laravel application folder LoginController.php and some another files created automatic. but we are here use only LoginController.php file. because all login or logout logic you can write here and also overwrite all logincontroller method and function in this file. Now, we are add our google firebase code in resources/views/layouts/app.blade.php file. this code help to you when another user login with same email and password then previous account logout automatic without page refresh. Please also check our demo for realtime CRUD system.